As you may know that Nikon MOV videos shot by D3100, D7000 ,etc, are a long GOP format that is highly compressed, it is not a optimized editing format. If you import the H.264 MOV into iMovie, you will need to wait for the iMovie to optimize Medias, it will be a long time if you shot huge footages. During the process, you will not be allowed to operation the software. Why not convert the H.264 MOV file to iMovie optimizing format before import to avoid problem and waiting time? Nikon h.264 MOV to iMovie converter is the best choice to help you transcode H.264 MOV to iMovie preferable AIC format fast. As a professional converter, Pavtube HD Video Converter for Mac is a recommendable Nikon H.264 MOV converter for iMovie to help you. 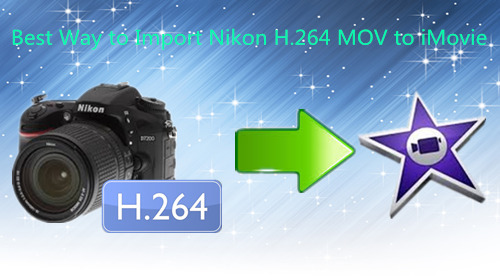 Below is a guide for you to import Nikon H.264 MOV to iMovie without watiing much time. This converter support Mac OS X 10.9 Mavericks, 10.8 Mountain Lion, 10.7 Lion, Snow Leopard10.6, Leopard 10.5, Yosemite 10. You are assured to run this app on your Mac smoothly. And the only difference between the trail verison and the full verison is that the watermark"Pavtube" in the middle of the generated files by trail verison, and this watermark can't be removed. Some users may encounted this"unidentified developer" problem during the install porgress. No need to worry about that, just follow those steps and everything will be OK.
3. Look for"Allow applications downloaded from" and choose"Mac App Store and identified developers"
This won't make your Mac be vulnerable, you can still back to your origianl settings after the installation. 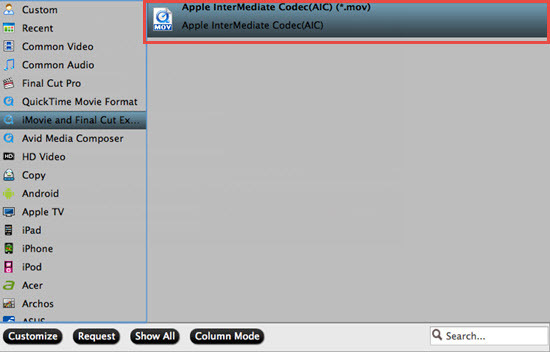 For editing Nikon H.264 MOV in iMovie on Mac, you can choose"iMovie and Final Cut Express">" Apple InterMediate Codec (AIC)(*.mov)", it's best for iMovie editing. If you want to customize it, you can click settings to use the parameters you want. And you can find the video editor button on the Column, it will help you on frame-by-frame trimming if you need. Some users may found that there is no audio appear when preview their videos in this converter, here you can try adjust the"Stream ID" by clicking this"Properties"in the Main UI, then your problem will be solved. After a shot waiting, you can click"open" button to find the output files and import your H.264 MOV into iMovie without optimizing process. This Nikon H.264 MOV to iMovie converter can help you convert almost all the H.264 MOV videos from Nikon cameras. For instance, you can convert Nikon D3100 to iMovie, convert Nikon D7000 to iMoive, convert Nikon D300S/D90/D3200/D5100 to iMovie, etc. If you like, it will also help you convert Nikon H.264 Mov to FCP, AVID, Premiere format for editing. It's a compressive Nikon H.264 Video Converter. And for newbie, here is a guide to show you how to import H.264 videos to iMovie. Why can't Import Nikon D750 MPEG-4/H.264 to FCP X Natively? How to Make iMove Recognize the HD MPEG-4 Videos from Surgical Microscope?